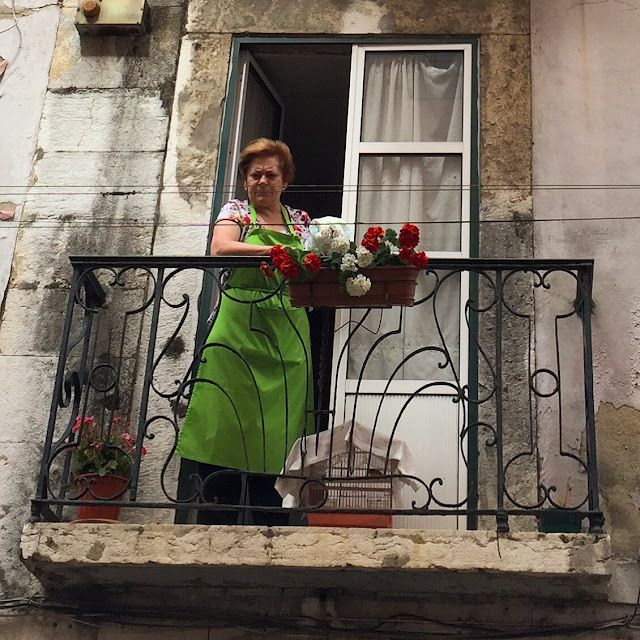 I visited Portugal last July and wrote the first part to this series about Porto here. Most people land in Lisbon or stay in Lisbon for work reasons, but if you have extra 2 days, I highly recommend you dedicate them to Porto. It was my preferred city between the two. Having said that, there are still a ton of things that I found to be quite enjoyable about Lisbon, from the amazing Pastel de Nata dessert to it being central and well connected to almost anywhere in Portugal. Here's the run though! Based on my own experience, 7 days days felt a bit short. If you're planning to cover the major cities such as Lisbon and Porto, then you should aim for 10 days total as it will be at least 2-3 days each, and you can add to that out of city day trips to the likes of Peniche or Nazare for surfing, Algarve and Cascais for beach and more. Transport inside Lisbon: public transport is abundant such as bus, metro, tuktuks, cheap uber as well as the tram that allows you to explore the old city (known as Alfama), so you're well covered. I took an uber from the airport and it cost me around 8$ to the city, whilst skipping a 10-15 minutes taxi queuing time. 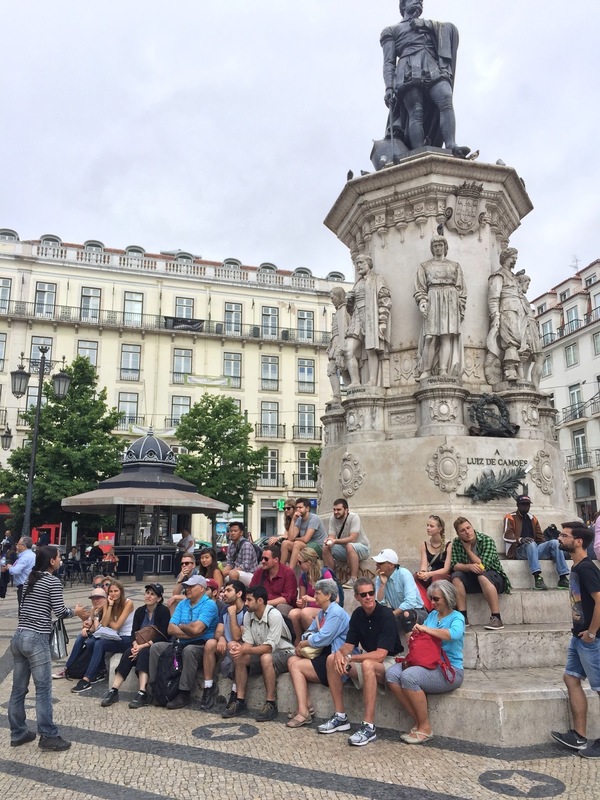 Transport from Lisbon to outskirt cities: Lisbon is pretty much the center, so most of the time you need to come back to Lisbon and catch the next train / bus. You can use the train or fast bus (Rede Express), the latter is slightly cheaper yet takes a bit longer, this also depends on the locations of the bus or train terminal and how close they are to you. 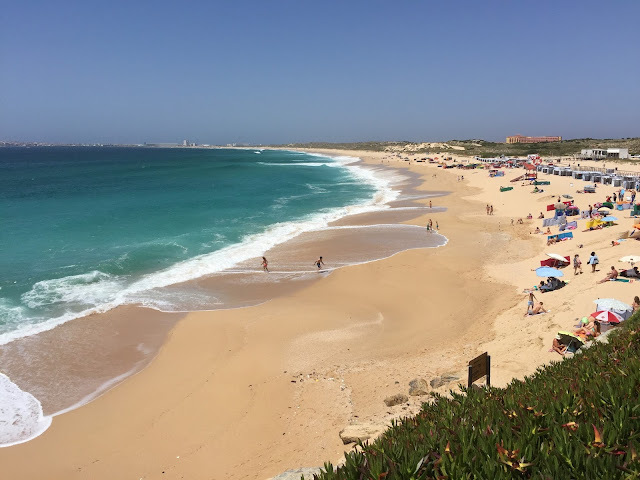 For example, I took the metro to Sete Rios station, and from there the train to Sintra, from that same station you can also go to Cascais, or walk for 5 minutes to the bus terminal nearby to go to Peniche with Rede Express bus. While in Sintra and Peniche, I sort of wished I had rented a car, again public transportation is limited there and only moves at specific time, so you're very bound to that schedule, even with the hop-on hop-off bus in Sintra, they only pass every hour, so you won't have enough time to explore more than 2-3 stops, so yes, either rent a car or a van for the day in case you're a group of people. Lisbon card: You can also buy a 24/48 and 72 hours Lisbon card that gives you discounts on entrances to museums, parks and full access to metro and train (to city outskirts). I think though, if you're not planning on visiting places and prefer to walk more, it would be cheaper to just pay for metro rides. 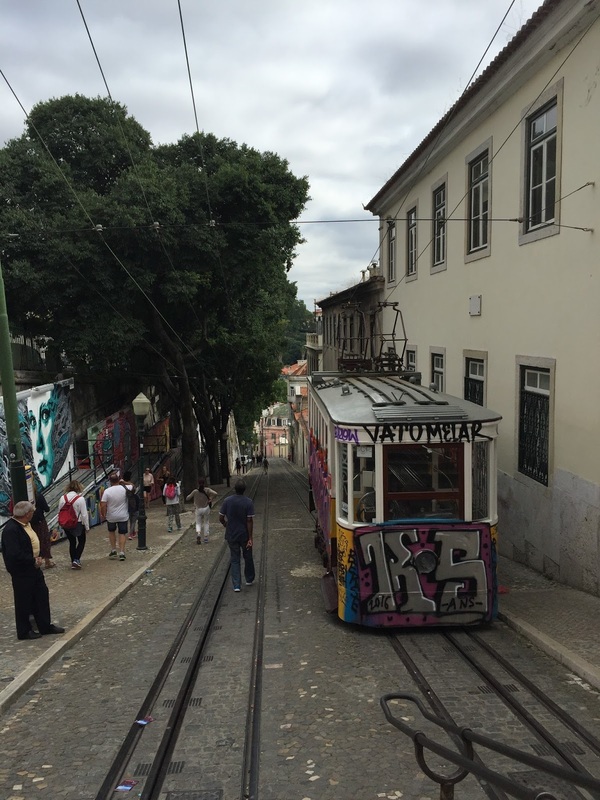 Lisbon cable car. So I was a bit stubborn and decided to walk up the hill, I suffered in that heat! 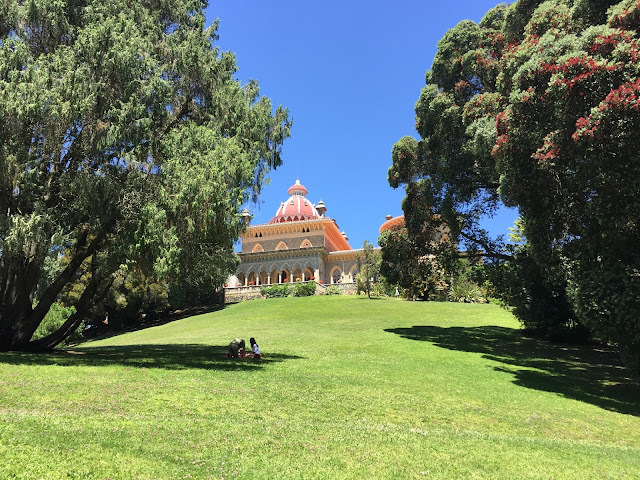 I stayed a little bit out of the tourist area, 10 minutes away from the Avenida metro station. 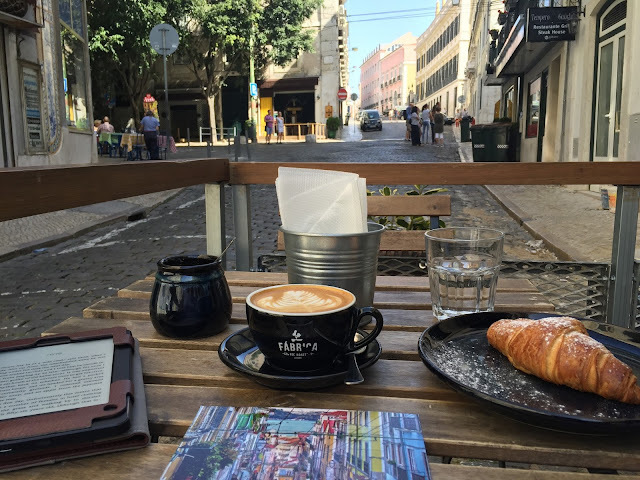 If I were to go again, I would probably stay close to Praca don Pedro (near metro station Rossio) or airbnb somewhere inside the old town Alfama. I chose to stay in hostels (Liv'in Lisbon Hostel and Typical Lisbon Guest House) while in Lisbon, but in a private room with a shared bathroom. 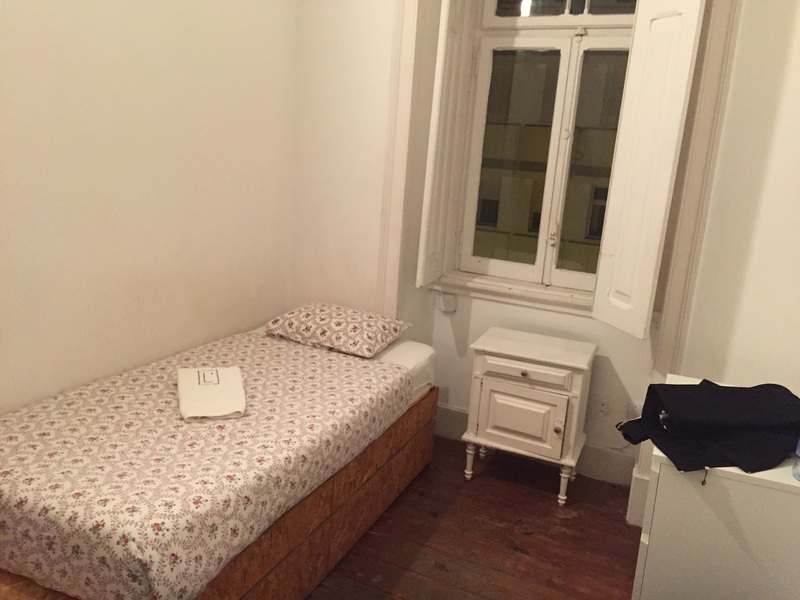 If you choose to repeat my experience, the first one is quite young with a lot of students, the second is quite class and sits in a traditional high-ceiling building, and I think I paid around 25$ per night for the first, and 45$ for the second! Staying in hostels is actually not a bad idea at all, because you get to both save and still have your privacy. 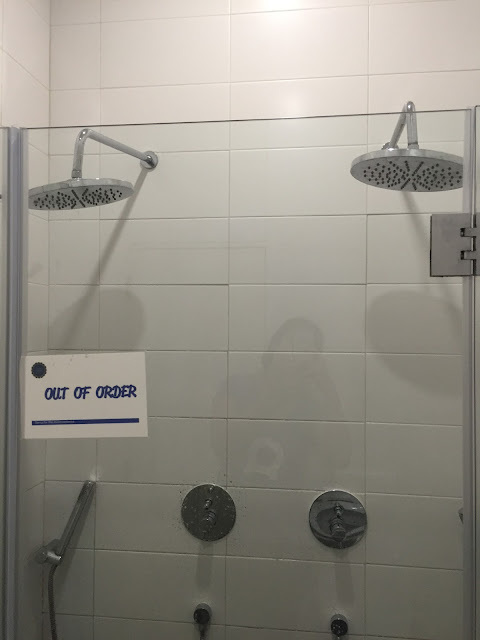 See below pros and cons of staying in hostel. 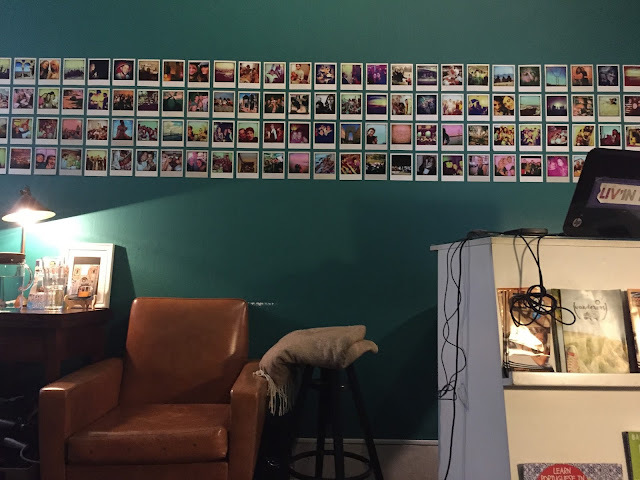 Common area - quite cozy. When I got there, someone was playing the guitar. 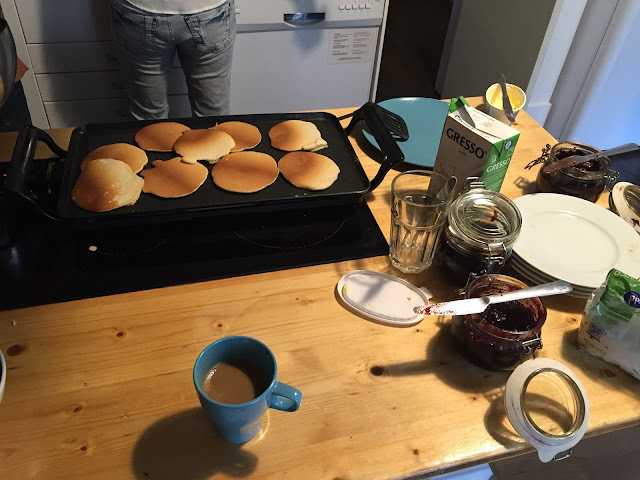 You get to meet like-minded people (mostly young ones) staying in the hostel, eat together, and even have the opportunity to join them on pub crawls and such. One of the positives for me, was over-hearing a lady talk about a book she borrowed from the common area and how good it was, so ended up downloading it on my kindle and finishing it on the trip. It's definitely a positive if you're traveling alone and looking to have some company. If you're sharing a room, you need to constantly be aware of your belongings as you can't exactly throw them around, they usually offer lockers to put your stuff in, but just in case you are carrying a lot, you might not have space for everything, so keep a personal lock for your baggage. Whether sharing or private room, you still use a shared bathroom. It's not really a disadvantage unless you're a very fussy and picky person, I recommend you keep a flip flop on when showering, and most hostels really take care of cleanliness and hygiene, so you shouldn't have an issue there. As usual I always try to start with a walking tour as you hear it firsthand from a local, specially when I am in a city I know nothing about (and sometimes I like to keep it that way so I discover it on the go). Evidently, bring water with you and a fruit or snack, wear comfortable shoes, put sunscreen on (ended up with a red nose and quite a tan), and carry a light cloth to sit on if you get tired. And please please, leave at least 10€ as a tip, this is the main source of income for these guys and they talk for 3 hours non-stop! I joined these guys "Lisbon Chillout Tours" and they were quite good, obviously I can't compare, as I didn't try other ones, but I can confirm that they were good. 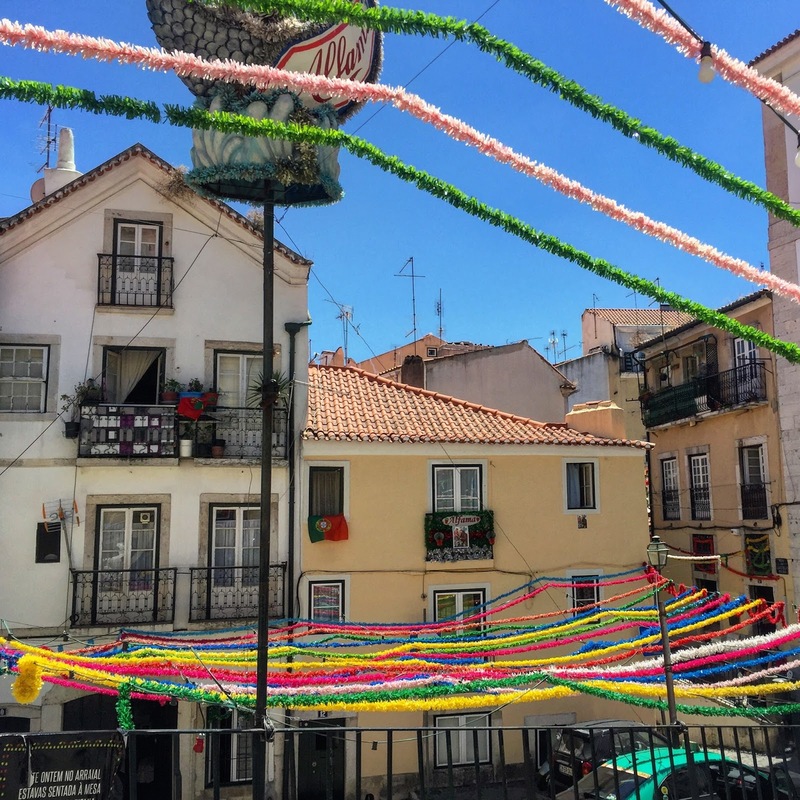 During this tour, I got to have a very good idea of the lifestyle of people in Lisbon, hidden places, walk through Alfama area (which is lovely), learn some interesting history with random and surprising revelations and end on top of a hill overseeing all of Lisbon. A bonus thing was stumbling upon a small cozy hidden restaurant during the tour, so I came back to it for lunch. For example we were standing beside an olive tree listening about a writer's story "José Saramago" when suddenly the guide tells us that the spot where we were standing is the same spot where the writer's ashes are buried. "You always end up where you are expected". Did you know that the Arabic word "برتقال" originates from the country name Portugal? 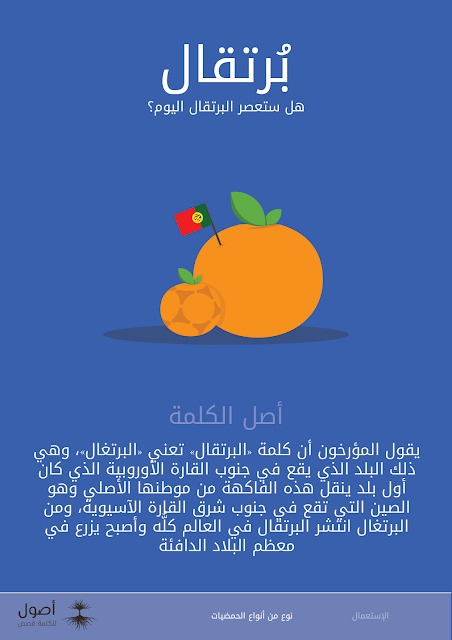 They say, they used to import Orange from Portuguese traders (who brought them from China), but they were sweeter than the ones Arabs had, to the point that eventually Orange in Arabic took its name from Portugal (or so they say!). I think this lady didn't like me taking her picture. Lisbon! Sintra: A day trip to Sintra is a must. 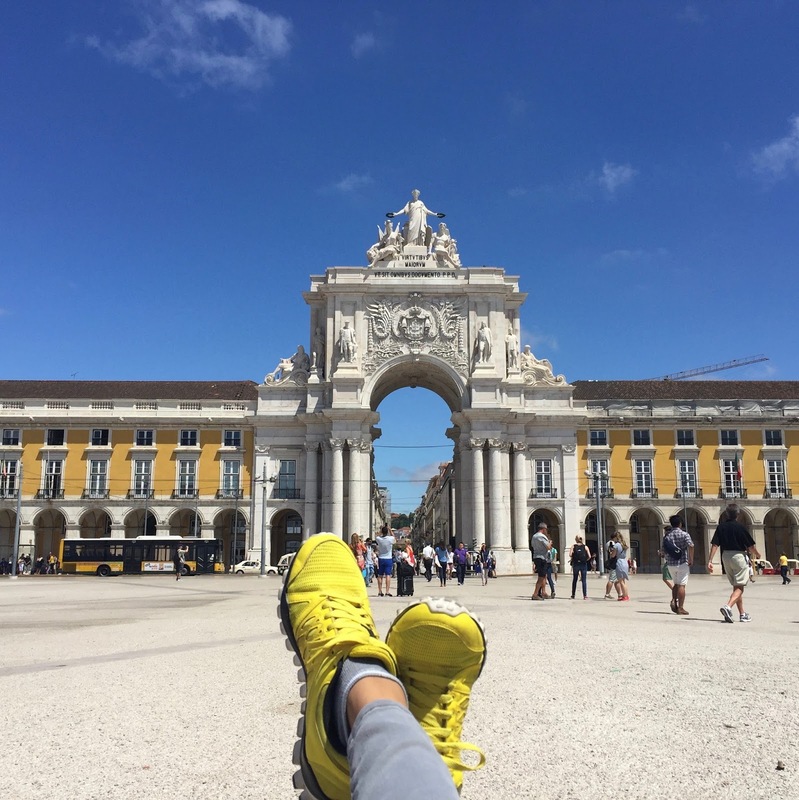 Take the train from Rossio Central Station or from Sete Rios Train station. The hop-on hop-off bus was a bit annoying as in you can't see the timetable at each stop, so you had to guess how long it was going to take from when the bus drops you till when the other arrives, and if it's high season, there is a chance there is no space on the bus. When I was there the wait was an hour. It stressed me out constantly and it was super hot. If you're more than 2 persons, rent a taxi, a car or those tuktuks. You won't be able to visit all stops in one day, so you will need to pick & choose. 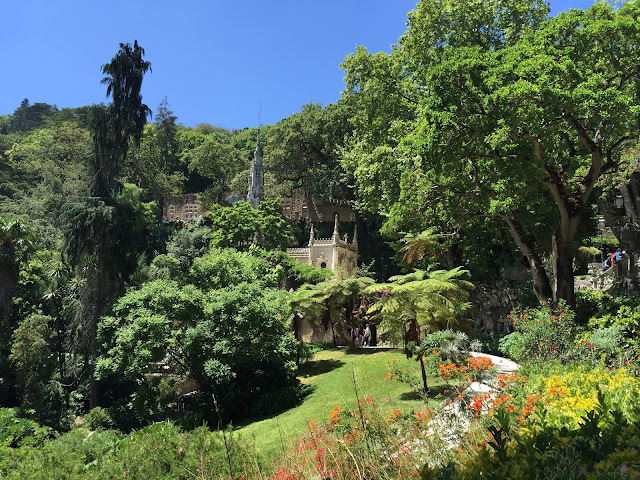 Between Regaleira and Montserrate (both having parks and greenery), I recommend the first in terms of beauty, secret garden pathways and to also visit the palace. If you're planning on a picnic, then Montserrate is a better choice in this case. One of the best meals I have had in my life. This is an apple shrimp risotto and it was delicious. This was in Hockey Caffee in Sintra . 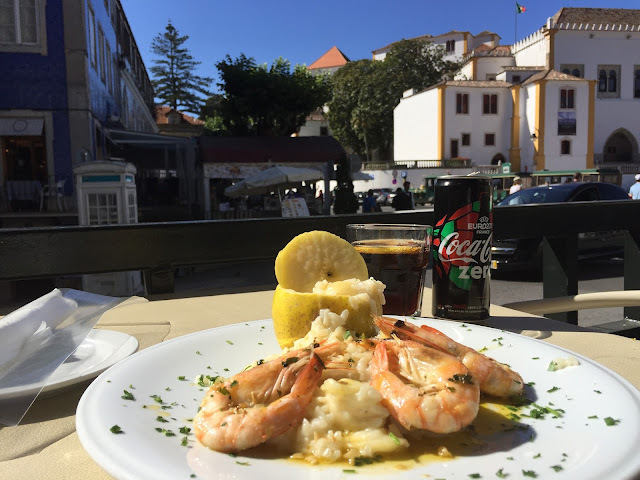 Cascais: Unfortunately, due to my limited time in Sintra and Lisbon, I wasn't able to make it to Cascais. 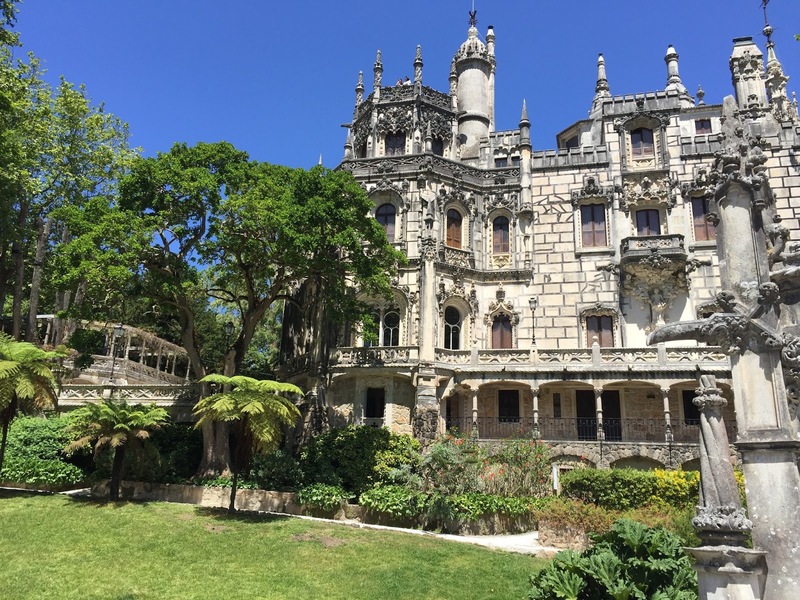 But I have heard many great things from friends who have visited it, and again it's quite an easy access from Lisbon. They say it's a beautiful chill beach. Most western point of Portugal and Europe: You can also visit Cabo da roca when you go to Sintra, the westernmost point of Europe. It's quite an amazing feeling to know you're at the westermost point of a whole continent. 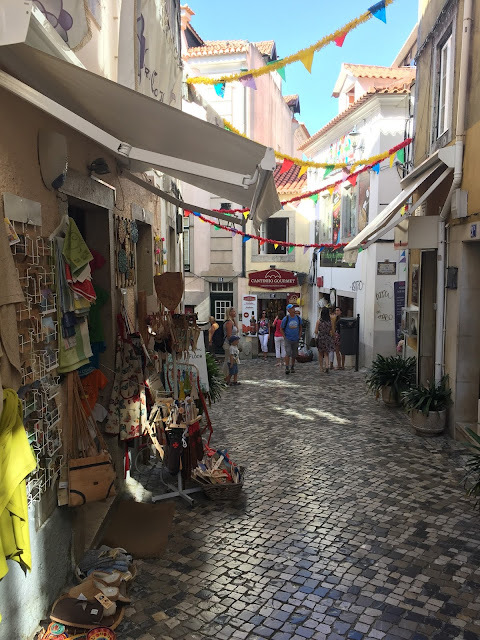 Alfama district. You can also take the cable car or tuktuks around this town. It has very narrow alleys that barely fit for cars, so it's usually better to explore it walking. You can also catch a Fado performance there around 10-11pm, you might need to reserve prior for the good ones. 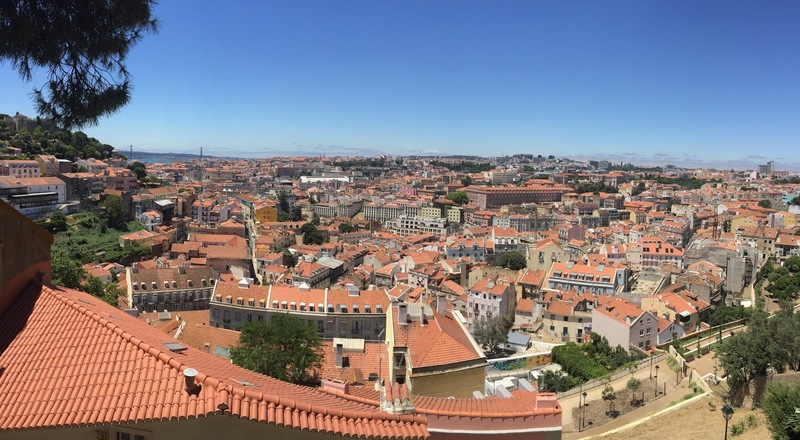 At the end of the Alfama tour, you reach a high point that gives you an amazing view of Lisbon. Fish: Fresh fish, always eat fish! Ginginha: Portuguese liqueur, made of sour cherry. Apparently, while walking in Alfama, you can try some homemade ones. Vino Verde: Don't worry, this is not actual "green" wine. Vinho Verde is a Portuguese wine that originated in the historic Minho province in the far north of the country. Red Wine: You might as well, but maybe leave it till when you reach Porto and try the Port wine, a bit sweet for my taste as I prefer dry wine, but you might be a fan! Pastel de Nata: I can't emphasize how tasty this is. I kept trying it almost everywhere I went, it's not always amazing, so you need to try to find that local cozy bakery and get one there. There is just something special to that dessert. So delicious! 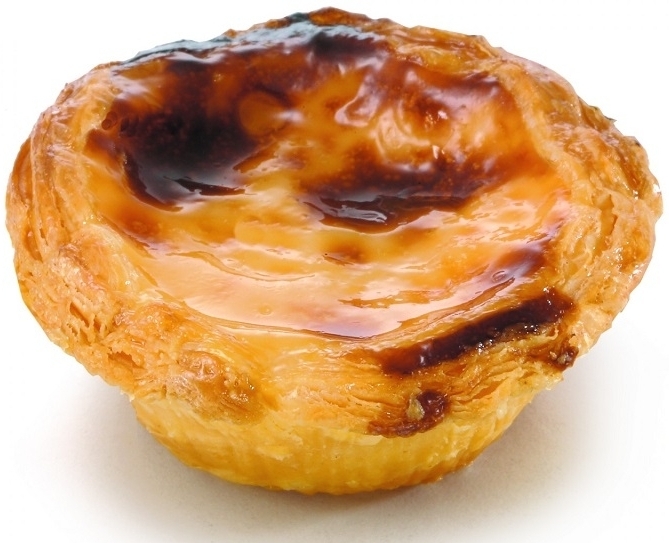 Paste de Nata. A piece of heaven. I realized I haven't taken a picture of the ones I bought... because I ate them as quick as possible it seems. Lisbon's gate to the city.